Hi again all. I've got another question. 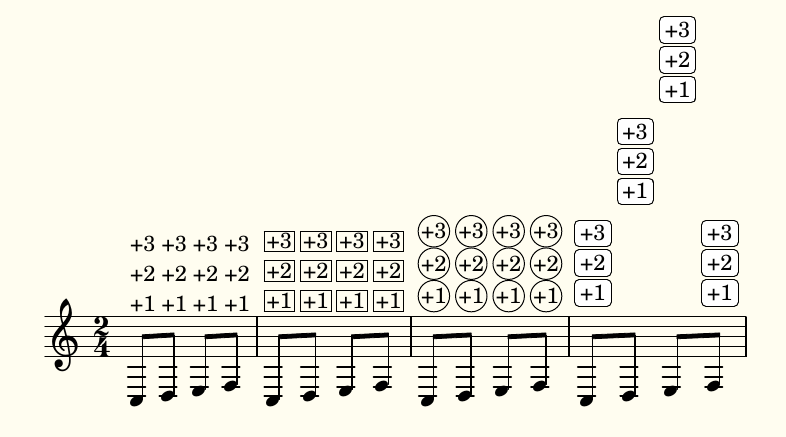 The LilyPond code below produces the music in the attached image file. measure but without the stair-stepping?